Quality care is my number one concern! I treat each patient with safety, integrity and honesty. Through discussion I aim to empower each patient with knowledge and provide tools to maintain the beneficial effect of each visit. Read more about my practice. 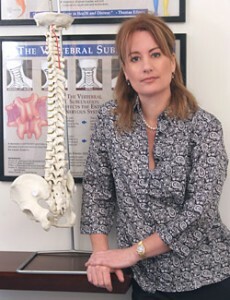 The quality of care that I provide is based of extensive training pursued after Chiropractic College. This includes a post-grad in Neurology from the American Chiropractic Neurology Board/Dr. Carrick Institute, which puts me among only 700 Chiropractic Doctors in the world to have completed this training. I am also trained in Bioenergetic Synchronization Technique, which I use for patients who cannot receive or are uncomfortable receiving forceful adjustments. In 2009 I became the only chiropractor in the city of San Francisco Certified in the Cox Technic which is considered the safest approach to treat disc conditions and the most effective treatment as an alternative to back surgery. Read more about my qualifications. 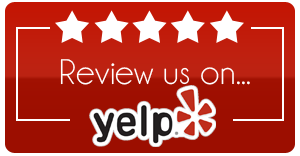 Read or write a review for Dr. Alfonsi on Yelp and RateMDs.com. Contact me on (415) 567-1028 to make an appointment or inquiry.